Dice the uncooked bacon into tiny pieces. Place into skillet and cook until crispy. Scoop out the bacon bits into a bowl. Leave the grease in the pan to cool slightly. In another bowl whisk together eggs and maple syrup. When the bacon grease is cool enough that it won't cook the eggs but still liquid, pour into egg mixture and whisk together. My grease was about 3 tablespoons. If you have less than that cook more bacon to get more grease or add butter or coconut oil. Add Coconut flour and baking soda. Mix well. Add the bacon bits to the batter and mix. Pour batter into muffin pan that has been greased or filled with paper cups. Fill cups 3/4 full. Bake at 400 degrees for about 15 minutes. Makes 8 muffins. I just made these and have to say I really like them. They are not too eggy and very fluffy. 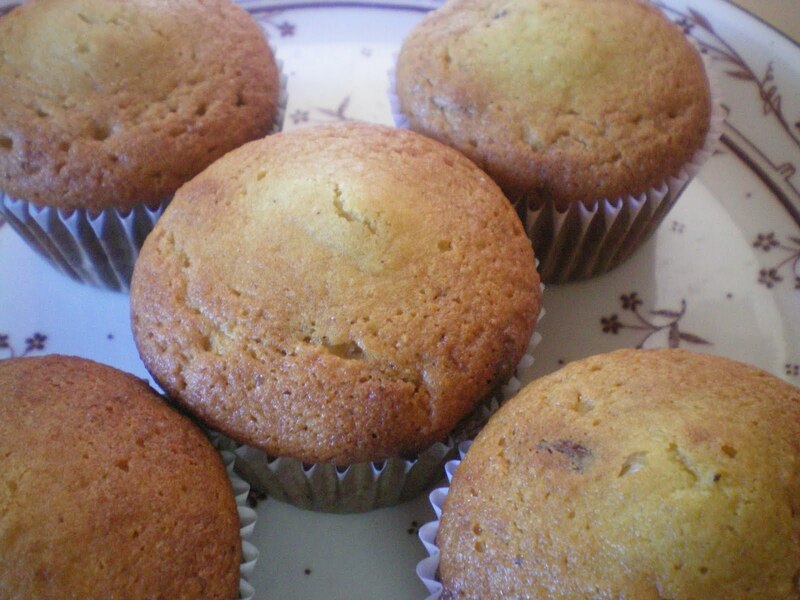 They even developed a nice muffin top which never happens to my muffins :D.
I used only half the amount of honey but the muffins still came out quite sweet. I almost forgot I was eating a savory muffin, which is fine by me! Decrisco- I'm glad you liked them. I was thinking next I make then I would try reducing the honey so I'm glad to hear that they worked well that way for you. Kara, these are so amazingly good! I already had bacon grease on hand, so I chopped up some ham instead. Wow, are these ever good! Even my reluctant-caveman husband went back for a second muffin! Thank you for sharing this! Tomorrow, I'm going to make your zucchini bread. Glad you liked them Faye! I like your idea of using ham. Found you on Pinterest....and made these tonight for a quick breakfast tomorrow morning. Thanks! Thanks for the comment Kristen. I love Pinterest! Do you have any suggestions for how to make this a savory muffin that could be dipped in soup? I have been looking for a good substitute for bread to go with our soup. Also, how frugal would you say that this recipe ends up being? I don't follow a primal diet, but I am always on the hunt for good GF, and these were tasty! I replaced all the honey with an equal amount of unsweetened coconut milk and a 1/4t of stevia - delicious! I use a precooked bacon and don't get rendered grease. Would local lard do for a substitution? 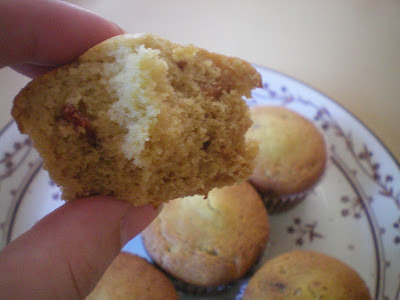 I just made these bacon muffins and they are gooood! I couldn't find coconut flour, so I used organic, unbleached, all-purpose flour and used 1/4 cup honey instead of 1/3 cup. 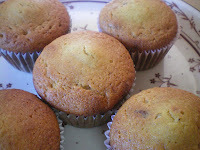 With my alterations, making 8 muffins, they are 3 PP (weight Watchers) each! So excited for breakfast all week! Thanks for the inspiration to cook! I made these last night and am in LOVE. Your recipe is amazing. I used almond flour because Trader Joes didn't have coconut flour and used turkey bacon instead. They still came out yummy. Thanks for sharing your discovery! Shee- did you still use the same amount of eggs with almond flour? I'd like to Try that next. They are yummy! I would like them a little more savory so I think I'll reduce the honey and maybe add more bacon grease and bacon bits. What's up i am kavin, its my first occasion to commenting anywhere, when i read this article i thought i could also create comment due to this sensible article. I have the same question: if I use Almond flour instead, should I change the amounts of other ingredients? How would I pin this on pinterest? remarkable and really excellent material designed for visitors. CBSE Schools in Hyderabad not concentrate on academics but help kids create other skills and talents. The facility has a great balance and the school fee is quite low as compared to other Board associated educational institutions. The article is great, as well as the recipe is wonderful. I have already written it down in my cook book. Welcome to visit legit essay writing service - pen essays - you will be satisfied by the result.